Porsche is expanding its range of two-seat sports cars with the introduction of the new 718 Boxster GTS and 718 Cayman GTS. The new range-topping models bring more power and a unique look. Following the same principles the company has applied to other GTS models, Porsche has increased the power of the 2.5-litre, four-cylinder engine to 365PS, 15PS more than the 718 S model. A six-speed manual gearbox is standard, with a ‘PDK’ double-clutch, semi-automatic transmission available as an option. 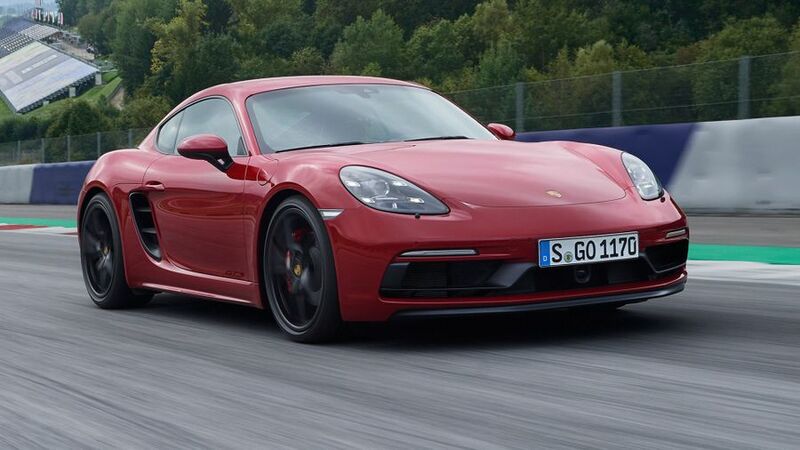 Also in keeping with standard GTS practice – focusing on giving these models a sharper, sportier drive than the regular models – the standard equipment includes the Sport Chrono Package, Porsche Torque Vectoring (PTV) with a mechanical limited-slip differential and Porsche Active Suspension Management (PASM), which lowers the body by 10mm. With the PDK gearbox and the Launch Control function of the Sport Chrono Package, each GTS model can accelerate from 0 to 62 mph in 4.1 seconds. 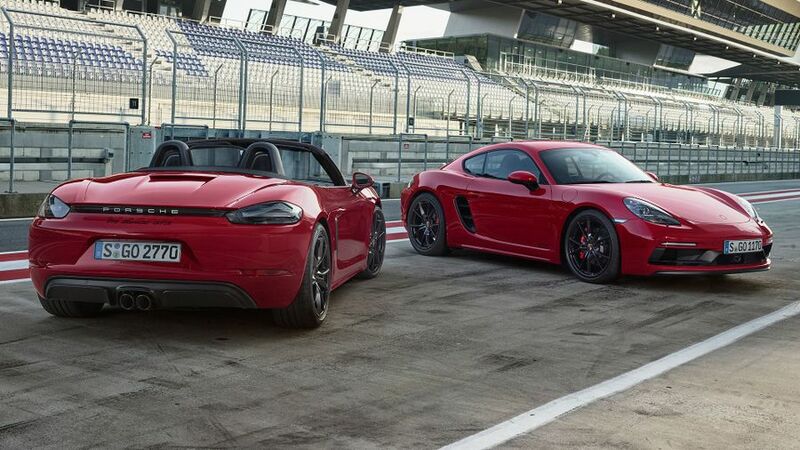 The top speed for both is 180mph, while the Boxster and Cayman GTS give official average fuel consumption of 34.4 mpg and CO2 emissions of 186 g/km. The GTS models also stand out from lesser models thanks to the way they look. They include a new ‘Sport Design’ front apron, while the front light housings are black-tinted. At the rear, the tinted tail lights, black logos, black apron and centrally positioned black tailpipes of the sports exhaust system also give the GTS a unique appearance that’s completed by black GTS logos at the base of the doors and 20-inch alloy wheels painted in black. The interior, too, adds to the sporty feel of the car, with the stopwatch of the Sport Chrono Package integrated into the dashboard. The seats feature Alcantara suede centres, and there’s further Alcantara on the steering wheel trim, centre console and armrests. Finally, keen drivers can download the Porsche Track Precision App, which allows them to automatically record, display and analyse driving data on their smartphone. The 718 GTS models are available to order now, with prices starting at £59,866 for the 718 Cayman GTS, and £61,727 for the 718 Boxster GTS. First deliveries are expected in mid-December. 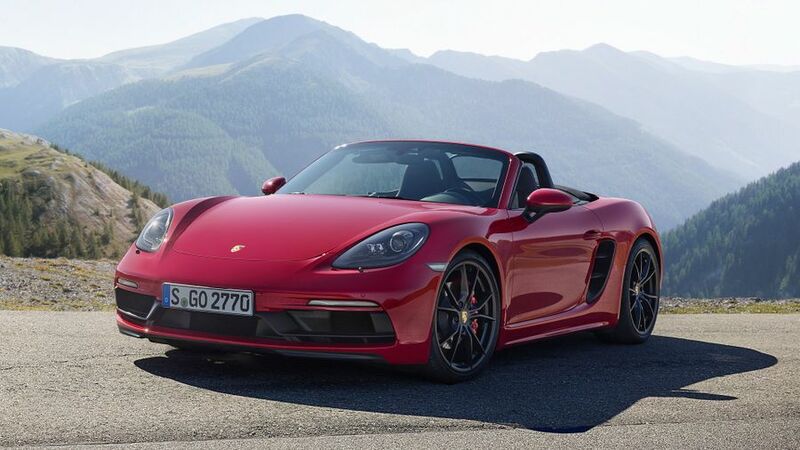 Interested in buying a Porsche 718 Boxster?